The Training on Understanding Economic, Social and Cultural Rights is a five-day intensive course run by the Geneva Academy of International Humanitarian Law and Human Rights every November. Able to identify and effectively describe violations and problems in progressive realization of ESC rights; incorporate this in their advocacy plans; and devise strategies for making use of UN ESC rights mechanisms. Dynamic combinations of lectures, working groups, and hands-on work on country situations, facilitated by experts experienced in ESC rights work at both UN and grassroots levels give illustrations of how to bring concepts into practice. Join us for this training and learn more about economic, social and cultural rights! Former participants in this course give their feedback below! For any organization interested in working on ESC rights or having its staff capacity built on this, especially in the line of advocacy using international mechanisms, this course provides an excellent opportunity for a firm foundation. I strongly recommend participation. The comprehensive description of ESCR by academics, UN staff, NGO staff, experts allows the participants to get a deep understanding of ESCR. 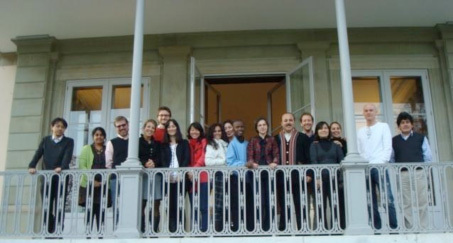 Visit the Geneva Academy webpage to learn more about the Training on Understanding Economic, Social and Cultural Rights and about the application procedure! For further information, feel free to contact the organizers at escrtraining@geneva-academy.ch. We will be happy to hear from you!